There are a lot of different ways to enjoy your whiskey. While many of us prefer ours neat, there’s something to be said for adding a little ice from time to time. As it melts, it can gradually lead to a lower proof, which can actually help unlock some of the flavors that you might not have previously noticed. When you add water in the form of ice, it can let a whiskey’s nuances slowly evolve as you drink it. The recent trend towards high-end ice has its merits. After all, if you’re going to add anything to your whiskey, shouldn’t it be the best? So what makes a high quality ice, and what shapes and sizes work best? 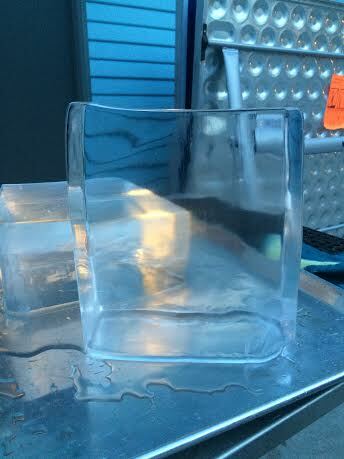 We’re going to assume that most of you don’t have massive, expensive ice machines at home. If you do, feel free to skip this article and feel good about your purchase, but if you just have a standard freezer like the rest of us, we can help you figure out how to make your own high-quality ice with minimal effort. Let’s start with the water: experts advise that you use purified or filtered water. Tap water can contain calcium, minerals or other impurities that will cloud the ice and affect the flavor of your spirit. For the clearest ice, consider boiling the water up to two times. This will remove potential air bubbles that can cause cloudiness. In most freezers, ice will freeze evenly from all sides, trapping air bubbles in the center of the cubes and causing cloudiness. Boiling water should help to mitigate that. If you’re planning on having friends over, consider making fresh ice the night before and try to keep it away from potentially strong smelling foods in your freezer. The last thing you want to taste in your whiskey are subtle salmon notes. The fresher the ice, the less time it’s had to absorb unwanted flavors. Covering the water as it’s freezing with plastic wrap can also help keep the ice pure. Ice is all about surface area. 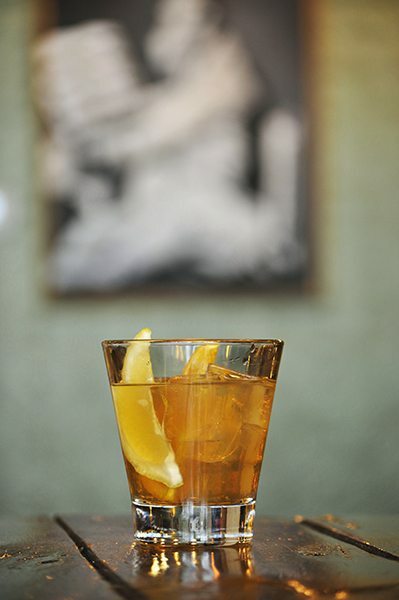 If you’re looking to enjoy your whiskey on the rocks, we recommend large or standard cubes. If you’re feeling fancy, you can pick up special molds for spheres or larger cubes. But it’s all about minimizing the surface area relative to the mass, so the ice melts slowly and you avoid diluting the spirit too quickly. You can eliminate all dilution by using chilled stones, but we’ve always been a little nervous about smashing our teeth on them. Unless you feel like breaking out the saws and chisels, block ice is ideal for chilling punches without diluting them. While there is no shortage of custom molds available, you can use many standard containers around your house to make ice blocks—with one caveat. The funny thing about water is that it expands as it freezes. So whatever you’re filling up, make sure it’s sturdy and fill it no higher that about three quarters of the way to the top. Otherwise you’re going to have a lot of chiseling to do in your freezer. This is a little more similar in size and surface area to store-bought ice. If you have a fancy fridge that serves crushed ice, or you can get the same effect by crushing your ice cubes in a Lewis bag, clean towel or cloth sack with a mallet. 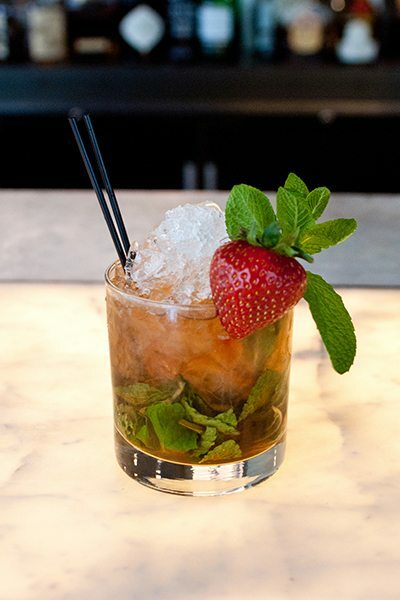 Cracked ice is ideal for quickly chilling cocktails, or finely crushed ice-based drinks like the mint julep, where the quickly melting ice is pivotal to reaching the specific dilution of the cocktail. This is a relatively newer addition to the cocktail community. Some mixologists are playing around with boozy snow cones and variations on slushies. While playful and fun, we really don’t recommend trying this one by hand. You’ll probably want to invest in some kind of ice-shaving machine before you start mixing shaved ice in your cocktails. The high surface area means you’ll have to work pretty quickly to hand-shave enough ice for a cocktail before your previous efforts all melt. Or we suppose you could always just work in a freezing room. Either way, shaved ice doesn’t come up very often for serious whiskey fans.